Korea Investment & Securities Co. Ltd. will acquire a mid-sized office building in Washington D.C. for around 200 billion won ($185 million) next month on behalf of two South Korean institutional investors, which may signal the country’s top asset owners’ return to equity investment in US real estate. A firmer Korean won against the US dollar and the planned corporate tax cuts in the US bode well for South Korean institutional investors. High valuations and increased funding costs with US interest rate rises had deterred them from making equity investment in US properties, shifting their focus toward Europe and Australia, as well as real estate-backed debts. Korea Investment, a brokerage house, has agreed to buy Sentinel Square II in the burgeoning NoMa neighborhood north of Union Station and Capitol Hill in early December, according to investment banking sources on Nov. 28. It was selected as a preferred buyer in August. 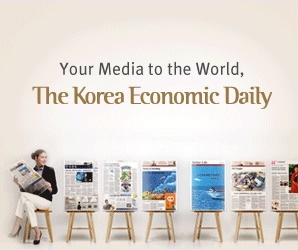 Two unidentified institutional investors will commit an aggregate 80 billion won to a fund set up for the acquisition and managed by Korea Investment. They will borrow the remaining 120 billion won in the US. Expected returns are 7-8% per annum for a five-year investment period. The 25,900-square-meter property at 1050 First St. NE is owned by Trammell Crow Co., a real estate developer and joint venture partners – Cottonwood Partners and a subsidiary of a private real estate fund advised by Crow Holdings Capital. With the won climbing to a two-and-a-half-year high against the US dollar last week, dollar/won currency hedging costs decreased sharply for Korean investors. In the first half of this year, they had to pay premiums of up to 140 basis points a year to swap the won into the US dollar. Now the premiums narrowed to 30 bps. Further, the Trump administration’s plans to slash corporate tax cuts to 20% from 35% are a boon for US real estate equity investors, according to one of the sources. The low vacancy rate – around 5% on average – of Washington D.C. office buildings and the solid US economy also appealed to the Korean investors. Sentinel Square II, built in 2013, is in proximity to the NoMa Metro Station and Union Station. Its tenants include the Federal Election Commission and the Department of General Services of the D.C., with around 13 years of remaining lease term. The Federal Communications Commission is set to move to the 12-story building in two years. The transaction comes just after Trammell Crow completed the sale of Sentinel Square III site located at 45 L St. NW in September to a consortium of institutional investors advised and managed by MetLife Investment Management. “About 70% of new construction planned by NoMa has been completed. It is a subcenter that will be in better shape in 10 years,” said another source.